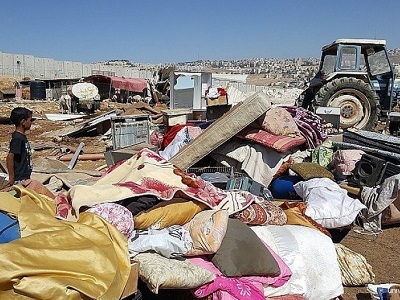 Villagers of Deir Qiddees and Ni’lin, in the central West Bank district of Ramallah, along with international solidarity activists, managed to stop Israeli bulldozers from uprooting Palestinian lands, despite Israeli military assaults and violations. 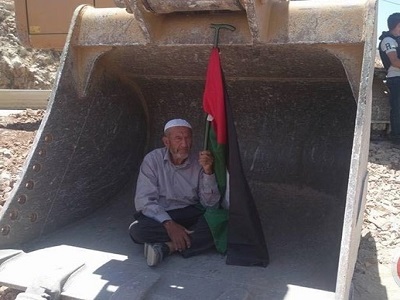 The army started bulldozing the lands more than four days ago, in order to widen road 446 used by Israeli colonists, living in illegal colonies built on privately-owned Palestinian lands. The lands are owned by Palestinian villagers from Deir Qiddees and Ni’lin and are subject to frequent violations due to Israel’s illegal attempts to annex them to widen the road. 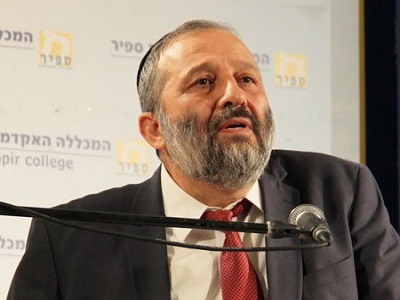 Muhammad Amirah, coordinator of Nilin resistance committee said the committee, along with the village’s local council and the popular committee to resist settlements and the wall, staged a protest which managed to stop the bulldozers. Israeli forces were forced to leave. Israeli forces also reportedly handed out parking tickets to Palestinian journalists in an attempt to keep them from entering the area. According to locals, an Israeli settler ran over a Palestinian teenager in the area during the protest. The details of the incident remained unknown. An Israeli police spokesperson was not available for immediate comment.